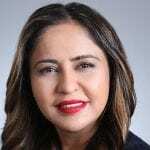 Vini Jolly is a versatile and experienced business executive with over twenty years of both strategic and operating roles across a variety of industries, from networking and digital health, to pharmaceuticals and genomics. Vini brings deep experience in product strategy, marketing, sales and business development in small and large companies and across a variety of technologies and sectors. Vini’s career started with product management and marketing positions at large technology companies including 3com, com21, and Accenture. She was also part of the cardiovascular sales and marketing team at Pfizer where she exceeded her goals every quarter. More recently Vini served as product manager at Genecloud, a genomic data security startup; and business development lead at Retrofit, an online health and disease management startup. In both cases, Vini was instrumental in determining the product-market fit, as well as onboarding initial strategic sales and distribution partnerships.